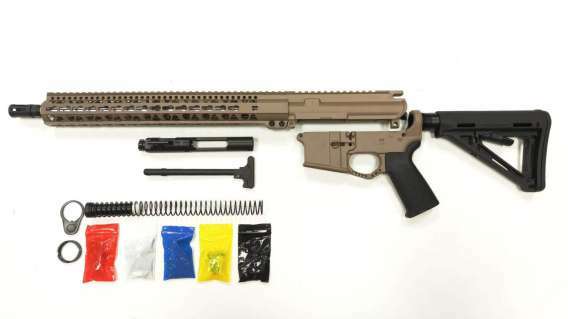 This AR-15 rifle kit for sale includes an assembled upper receiver and an 80 percent lower receiver. The 80% lower receiver included in this rifle kit also comes with a six position stock and a lower parts kit. Keep shopping our gun parts online to discover the other AR-15 rifle kits we have to offer.